The week before Mother’s Day weekend was nearly perfect for downwinders off Maui’s north shore. Sunny days and temperatures in the low 80’s and steady east-northeast trade winds were blowing in the mid 20’s. Waist to chest high wind swell, little to no groundswell and everything pretty much going the same direction. The kind of ocean conditions that make for fast runs with more fun than drama. A high surf advisory and small craft warning for strong trades and easterly wind swell was posted as the weekend approached, but by Saturday, Maliko was still much as it had been all week, super fun and inviting for downwind paddling. A pal from Hood River was going to be around for a downwinder on Sunday, Mothers Day. My friend had done a run earlier in the week with Jeremy Riggs so this would be his second Maliko Run. He said he felt ready to tackle the run solo. Although he did not have ocean paddling experience, he had paddled many downwinders in the Columbia Gorge and developed solid downwinding skills. In addition, he’d windsurfed on the north shore and was familiar with the coastline and the reefs, so he knew most of the bail out spots. Last but not least, as a water polo player and coach, his swimming skills are at the top of the heap. Doing his second run solo didn’t sound crazy, all things considered. Saturday evening, we made arrangements for him to show up for the 1PM Maliko Shuttle on Sunday. I’d bring a paddle, board and leash for him to use. The shuttle is an incredible convenience that really makes downwinding much more accessible on Maui. Sunday dawned overcast and windy. It was tough choosing whether to go in the one-man outrigger or take my standup board. I love both, but the SUP can be a blast when conditions get on the bigger end of things. Taking the OC1 on lighter wind days is definitely easier since the boats catch almost anything. I wasn’t feeling like paddling too hard, so I decided on taking the boat instead of the board. With the cloudy conditions, I wasn’t expecting it to blow hard. As we met up at the harbor for the shuttle, I was happy to see that his wife was 100% excited for him to make the run, even on Mothers Day! My pal must have been doing something right. A couple of other friends were on the shuttle. One of them was paddling her OC1 so we would be able to keep an eye on one another, since we are somewhat close in speed, at least in the OC’s. I knew that my Hood River friend would likely be going a lot slower, especially since this would only be his second Maliko run. Passing Ho’okipa on the drive up to Maliko, you finally get a good look at ocean conditions. You can see how much the surf is wrapping in and what the wind and ground swell look like. As we drove by, it was clearly very windy and pretty rough. The wind swell that they’d been warning about had finally built into something to take notice. Five minutes later, we were at Maliko. As we rigged our gear at the gulch, I checked in a final time before launching and tried to prepare my friend for what he’d encounter heading out of the gulch. The conditions looked more challenging and were now fully apparent. He had a strategy to paddle out on his knees. That could work, but before we could talk about anything else, we were launching. As we approached the mouth of the gulch, it was clear that this was not going to be anything like the previous week of sunny, mellow paddling. Bigger days have an element of chaos, the wind is loud, the waves get your attention and, at least for me, it becomes an exercise in focus. On this day, my focus was immediately divided. Although I had thought that my friend would be fine to do the run on his own, I’d made that calculation with different conditions in mind. Now that I saw what things looked like, I was concerned. Leaving Maliko Gulch and entering the open ocean, you are immediately fully exposed to the swell and wind, which hit you on your right side. This is where most newbies fall and sometimes confidence wanes. That’s also when you realize that the wind and swell can take you right into the rocks on the downwind side of the gulch mouth. It is pretty important that you do whatever you can to keep going and get out of the danger zone. As we paddled out, I watched my friend get swept off his board a couple of times. The waves, wind and current were quickly taking him toward the rocks and crashing surf. My paddle partner that was in her OC is an excellent water woman and she hollered at my pal to prone paddle out, which he immediately did. Going prone allowed him to paddle out of the danger zone quite quickly and the waves were no longer knocking him off the board. I did my best to keep an eye on my buddy to make sure he made it outside, while at the same time I was also trying to get out to a safe starting point. But, watching my friend struggle right out of the gate had gotten me worried. Part of the reason I was rattled was imagining what the conditions must have looked like through the eyes of someone that had only completed one single Maliko run in nearly perfect, fun, summer conditions. Mothers Day was anything but. This was like a big winter day with big swell, clouds and lots of wind. The wind swell looked like 2 story houses coming at you. And, it’s not so much the height of the crests that are spooky as it is the depths of the troughs. Looking upwind, the waves looked hella scary. When you are down in those troughs watching huge walls coming at you, you start imagining one of the really big ones breaking. Most of the time they don’t. It’s more likely that crests will break, and sometimes that can be enough to take you out. It’s happened to plenty of people, including me. But, typically, the big ocean swells will roll harmlessly under you. If you keep your head and paddle out half a mile or more, the water is plenty deep and it’s going to be ok.
Everything gets easier and less chaotic once you turn downwind. While I wanted to make sure my buddy got going on a safe line, I was also anxious to get pointed downwind. Once you’re moving with the ocean, things smooth out and you can try to start finding your ‘groove’. It then becomes about getting your paddling in tune with the rhythm of the swells. I took a last look back upwind and my pal had made it to his feet and waved at me. Looked like he was good to go. I knew I’d worry about him the entire run and I was beating myself up for not taking my SUP so that I could have stayed close by. That would be near impossible in the OC1, as the wind had already blown me hundreds of yards down from my friend, without even paddling. I had no choice other than to focus on getting down the run safely myself. Going down the run, my focus was on keeping my boat within about 20 to 30 degrees of straight downwind, steering and counter steering with my rudder and doing whatever I could to keep the boat speed high while avoiding a ‘roundup’. In an OC1, that happens when the rudder loses its purchase in the water and the tail releases causing the boat to end up sideways and vulnerable to getting battered by the oncoming waves. While staying safe and under control were first priority, it was impossible not to have a ridiculous amount of fun. The wind was strong enough that little effort was needed to get into bumps and if you steered well and read the water right, you could link a lot of the smaller bumps together. The speed was intoxicating and my Garmin was showing glides hitting over 13 mph. That speed enables you to get the bigger stuff and every once in awhile, I’d get one of the bigger swells. Some of the troughs just looked too far down and the rides too steep, so it wasn’t a day for charging everything. My friend in her OC had already gotten about a quarter mile in front of me, and I could only see her when we both hit wave crests at the same time. But it was nice to know she was there and that I was on the same line as her. When the swell gets really big like it was on this day, the ocean looks like the last place on earth that slow, land-based creatures ought to be. I find myself vacillating between being incredibly stoked and adrenaline-charged to wondering what possessed me to think it would be a good idea to put myself far off shore in raging wind and waves? Pretty soon, you find yourself on the last segment of the run. Outer Sprecks is about 6 miles into the almost 9 mile run to the harbor mouth. As you approach this area on days when there is significant swell, it’s important to keep your eyes searching ahead for breaking set waves. The reefs at Kanaha extend far out into the open ocean and the depths decrease to less than 20 feet in places, shallow enough to cause large waves, even wind-swell, to stack and break on big days. I was glad I’d warned my friend to stay sharp and head outside if he saw anything jacking up and breaking in this section. I stayed far outside and got past the area with no drama. I call that taking the chicken line and, as far as I’m concerned, it carries no shame. The ‘Pier 1’ break, just east of the harbor entrance, is also someplace to be careful when the swell is kicking up. Sets can materialize seemingly out of nowhere and easily catch you off guard. I could see breakers from behind as I got closer to the entrance but it was not an issue to stay on a good line. Even so, I couldn’t help but thinking about my buddy coming through here. Yikes, I had to trust that he’d do ok.
Once on the beach, I anxiously waited for my friend to round the jetty into the harbor, which, by the way, was absolutely hateful. The cruise ship, which visits weekly, was tied to the Pier, upwind of the line you take to get from the harbor entrance to the beach. The ship is so large it disrupts the wind flow and causes micro gusts to funnel through on windy days. This was one of those days. Gusts were likely hitting at least 50 mph in the harbor. Spray was blowing high in the air off the water from these bursts. Getting to the beach was no picnic. Still, once in the harbor, at least you were going to make it in for sure. As I watched and waited, my friend Sharon arrived on her SUP board. She had seen my friend on the run and said he was doing ok. She indulged me and listened to me vent my worries. Then she reminded me that he was having the adventure of a lifetime out there, that he was going to make it in just fine, have a great story to tell and be totally stoked. Five minutes later, my pal rounded the jetty and began an absolutely miserable paddle across the harbor in vicious side winds and chop that forced him to prone paddle. The gusts were so strong that standing was just not an option. Just as my friend got to the beach, his wife showed up. Only a tiny bit rattled, he was mostly just as Sharon had predicted: Completely stoked, ready to come back to Maui and tackle Maliko again, and, he had a great story to take with him. His wife was really excited for him. Most people I spoke with that paddled that Mothers Day Sunday thought it was a big day. It wasn’t just my anxiety about my pal out there for his second Maliko run, that skewed my perception. Mother Ocean was just showing one of her many moods that day. She is often reminding us that she can be anything from benign to furious, but always deserving of our love and respect. What a great Mother’s Day. We welcome Gregg Leion as a regular contributor. He’s a great story teller and has a sincere passion for paddling. Please leave your comment on our blog and share this article and the stoke for Maliko. Great write up Gregg. Can’t wait to get my hands on a downwind board. Look forward to seeing you out there, Jason! Just a warning: It’s addictive. Nice recap of what sounds like an epic day! Gregg: Thanks so much for your perspective. I’ve heard it said that “attitude is the difference between an ordeal and an adventure.” Seems that was the case for your friend in this beautifully written piece. Glad you enjoyed it Tom! What a tale! and so glad you and your friend made it safely. Way to go with a lifetime to share the stories and stoke. Nice writing! More, please. Yes Gregg is really good at writing. You know how Maliko can go. Thanks so much again for stopping by here. 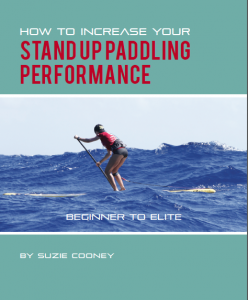 Thanks Judy, fun to write about these experiences and share the stoke! Great tale Gregg! Dave was telling us about this on the Viento shuttle the other day. Dave did so well that day. Definitely an adventure, wild and wooley!